David Rocco, the man with a disarmingly infectious smile is everything you expect an Italian to be sans the customary lilt of the Italian accent. He is happy, energetic, full of life, easy going and has a great sense of humour. but what makes him irresistible is the fact that he can cook equally good food without much fuss. If you have ever seen his show Dolce Vita you know how uniquely easy going and simple his approach is towards food. 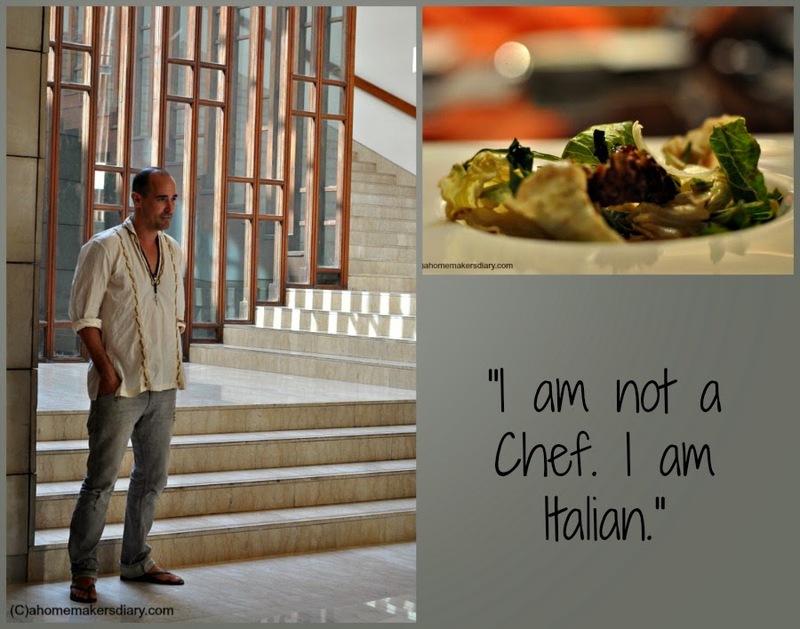 He often says that he is not a chef, he is an Italian. and truly that's what he does to food. With his unique willingness to experience and experiment new ingredients he chooses freshest local produce that are in season and cooks peasant style classic recipes bursting with flavour. The man famous for his show 'Dolce Vita' was recently in town shooting for Dolce India; series 2. The show where David explores regional cuisine and fuses it's flavours in his Italian recipes. Its a show that celebrates the crazy food diversity of India and it's ability to 'bring strangers to a table and turn them into friends'. ITC Sonar the host threw a Press Lunch and invited few of us to meet this man at the West View bar and Grill. For an 'everything Food show Junkie' like me it was a great opportunity to meet this Charismatic chef whom I idolise for many reasons. and the man did not disappoint at all. Keeping him company was ITC Sonar's executive chef Mayank Kulshetra. Who with his team is helping David to explore and understand Bengali cuisine and ingredients and already had made a few trips to the famous Gariahaat market for freshest seasonal produce. 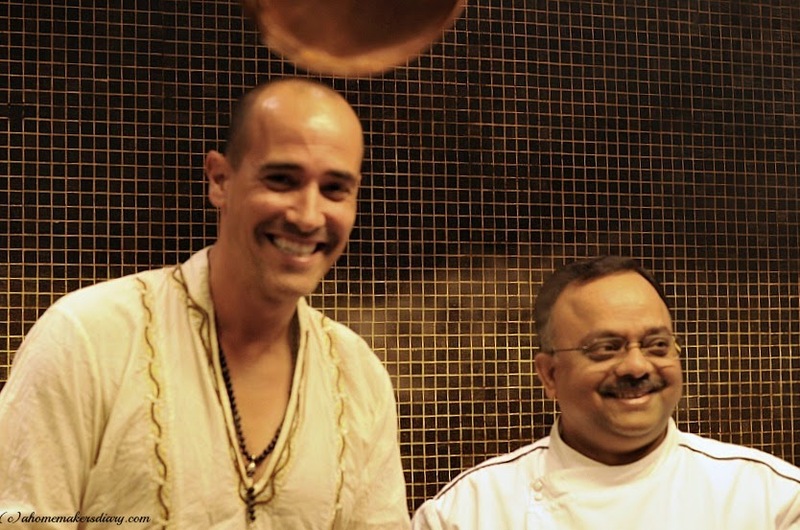 The Chef has a firm stand on traditional way of cooking and eating only seasonal local produce will team up with David for the episodes on Kolkata. In the coming season of David's Dolce India He is set to explore the cuisine of Kerala, Goa, KAshmir, Delhi and West Bengal. 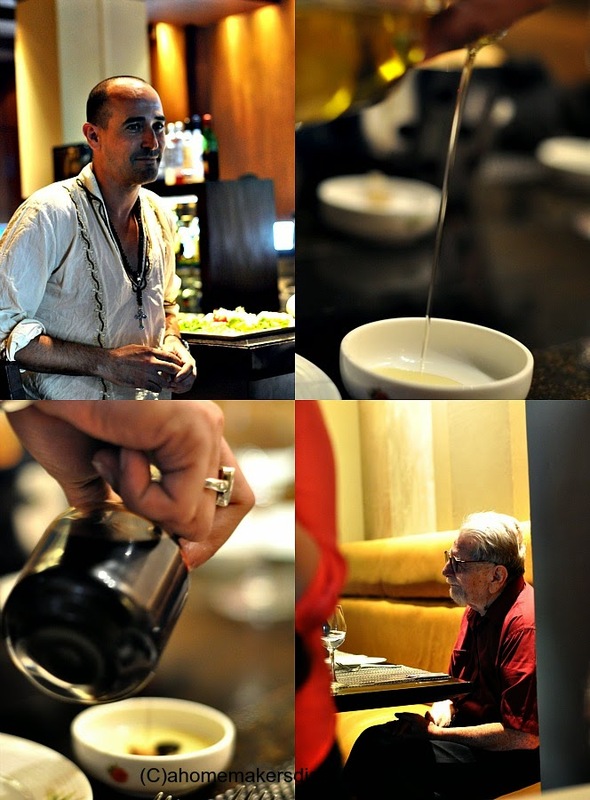 With other members from the press and the Chefs of ITC it was an afternoon well spent talking and discussing food. David being hopelessly in love for Indian street food could not stop brimming while discussing the same. when asked he kept talking about the craziness for food that unites Indians and Italians yet how different and little intimadating it is to scour for ingredients when its comes to cook indian. He kept talking about what he has explored in Kolkata till now and his time on the crazily dysfunctional Kolkata streets and it's huge array of mouth watering street foods. 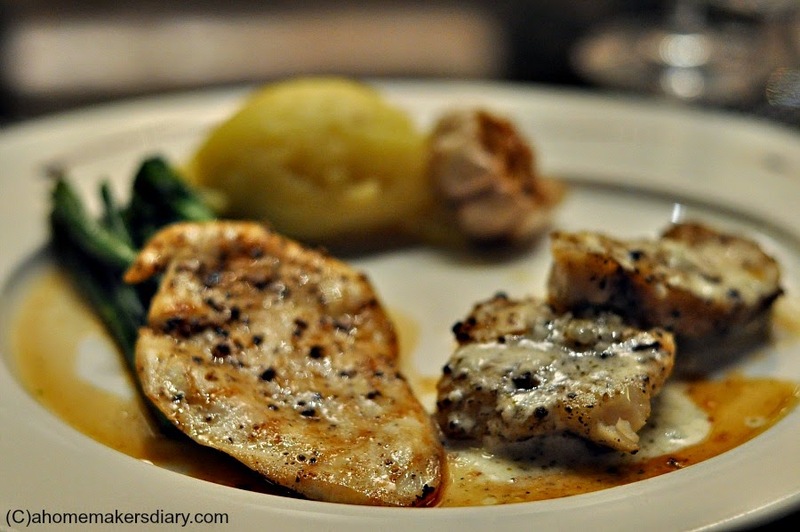 How he liked the simplicity of Bengali food and its use of fresh ingredients. Not to forget the lavish Bengali breakfast spread Consisting of varieties of fried breads and lentils that satiated him so much to look for a bed immediately and so on. We asked him about what would be the Bengali ingredients tthat he would be working with in the Kolkata episodes and with a wicked smile he replied thats a secret and then went on telling us that it would be those ingredients that Bengali food is so famous for. He might use one of it to make a very unusual dessert. What fish will you use? we asked next and with the cutest smile he replied 'Lish' (Ilish or Hilsa). While we wait to meet our man we were served a simple meal of salad, a grilled platter consisting of mashed potato, grilled veggies, fish and chicken. The breads served on the table was exceptionally good so was the welcome drink with Gandhoraj lemon straight from their own kitchen garden. 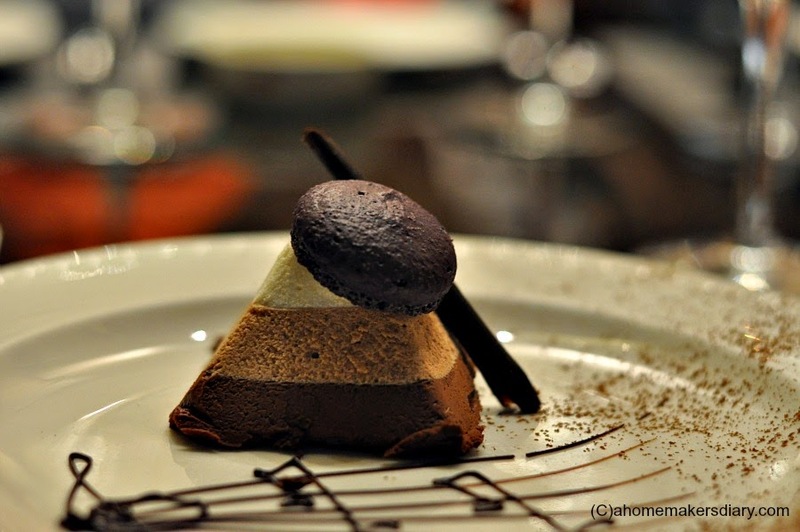 The triple chocolate mousse with chocolate macaron was the perfect ending to a beautiful afternoon. Bengali cuisine is something that am dedicated to. Whenever possible I try to bring it in the limelight but its also is a fact that of all other Indian Regional cuisine this one is the least explored and popular in the West. The use of fish parts, pungent mustard paste and such subtle use of spices is quite an acquired taste. As a Bengali food enthusiast am grateful to David and his team for working with it and giving it a platform to reach a wider audience. 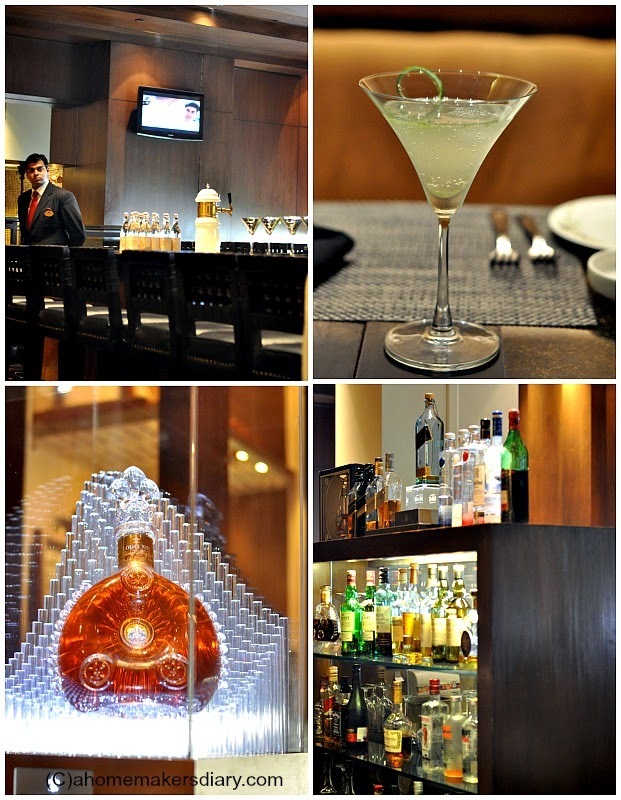 West View Bar and Grill at ITC Sonar is also Serving Louis XIII, the best cognac you can ever taste all through March. The Review was done on invitation from ITC Sonar where I represented my team of Kolkata food bloggers.